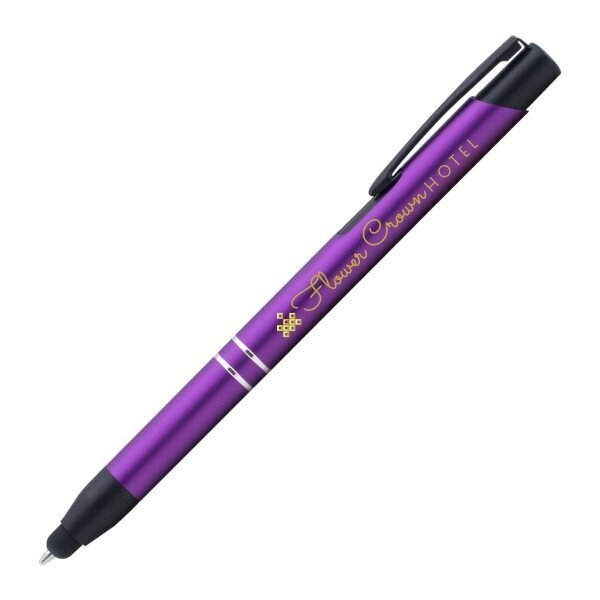 This sleek and smooth metal pen is everything customers love about the Tres-Chic series, but now with midnight black accents and jewel tone barrels for dramatic contrast and max appeal. 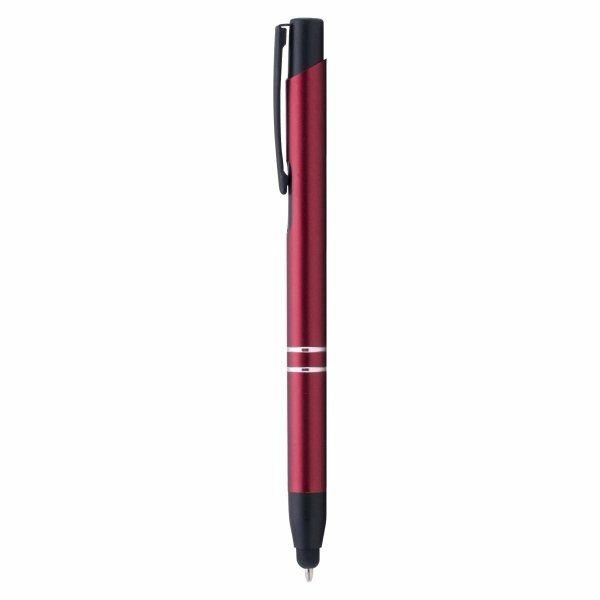 This click-action medium ballpoint pen features a stylus on the writing tip. 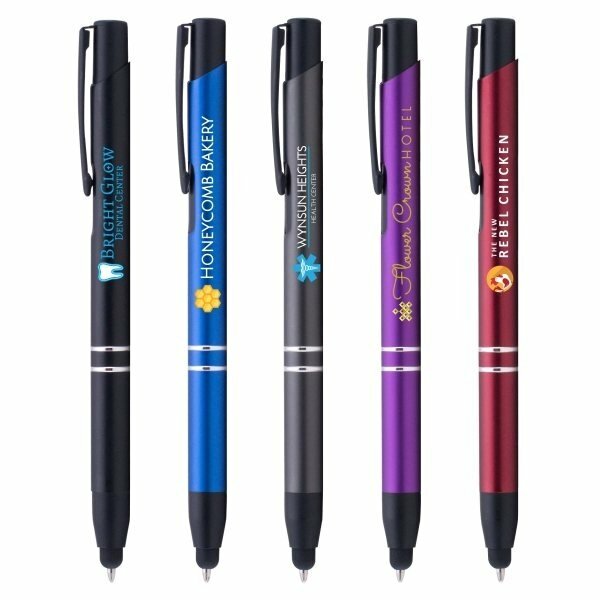 Customize with a full color, photo-quality imprint with our innovative ColorJet™ decoration capabilities. 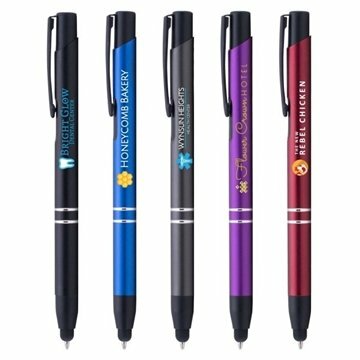 Makes for a memorable promotional item!